Smart living all year round. 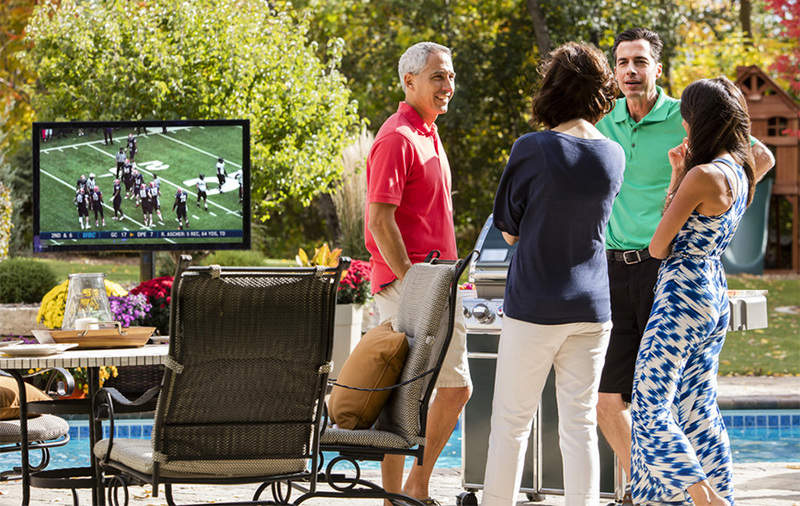 Families have discovered the convenience of outdoor video and outdoor weatherproof televisions for their entertainment and so can you. Kozi Media Design takes great measures in finding the right quality solution, location, and a professional installation of all our outdoor TV installations. When accessorized with outdoor audio, you have a full on outdoor theater experience to thoroughly enjoy, and show off to your friends. Lighting is also a great addition to the mix. With one press of your iPhone or iPad, the lights can dim, the movie can start, and you can enjoy a sit-in theater experience outside. See more outdoor media and call Kozi Media Design at 1-877-746-5694 or send us an e-mail.